Kok, H. (1973). 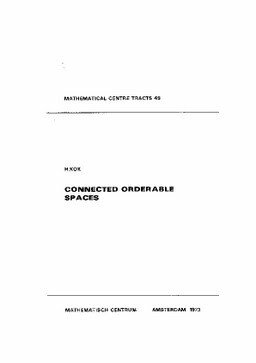 Connected Orderable spaces. MC Tracts. Centrum Voor Wiskunde en Informatica.